With the first day of the 116th Congress comes the introduction of the “Democracy for All Amendment,” which aims to overturn Citizens United. Citizens United vs. Federal Election Commission was a Supreme Court case decided in 2010, through which the Court applied the First Amendment right of free speech towards nonprofit corporations, for-profit corporations, labor unions and other associations in declaring independent expenditures by these entities in political campaign finance constitutional. To put it simply, corporations were given the political spending power that individuals enjoy. Following the ruling, however, the case has been highly controversial due to the rise of super PACs—groups that can receive unlimited contributions from individuals and corporations due to the fact that they don’t actually make direct contributions to candidates—and the immense rise in money funneled into campaign finance. 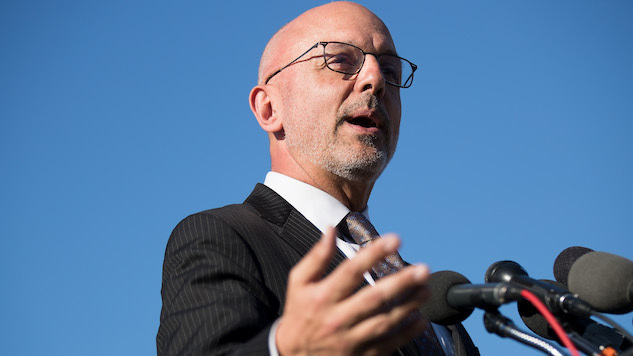 The new bipartisan bill was introduced by congressmen Ted Deutch, Jim McGovern, Jamie Raskin and John Katko to “get big money out of politics and restore democratic power to the American people,” according to a statement on Deutch’s website. The bill aims to give more power to the federal government and state governments in regulating campaign finance, allowing them to set raising and spending limits (and to distinguish between “natural persons” and “artificial entities,” a.k.a. corporations, in doing so), and enforce these limits accordingly. “Let’s not mince words here – for too long, the needs of the American people have taken a backseat to the needs of corporations that dump unlimited amounts of money into political campaigns,” said McGovern. “From gun violence to healthcare costs to climate change, the issues Americans care about have been held hostage by wealthy special interests. No more. For more information on the bill, check out the FAQ here.